Receive up to $20 off. Use discount code: 888. 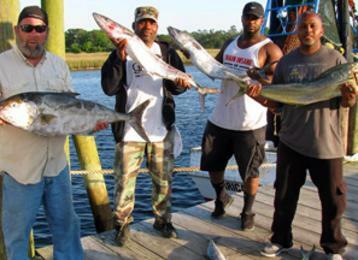 The Best Deep Sea Fishing on the Grand Strand For Over 70 Years! Family Friendly - Half/Full Day & Gulf Stream Trips. Closest boat to the ocean. Clean and comfortable w/ Air Conditioning. Professional Captain and Crew. Group rates and Special Occasions, Waterway Cruises, Sunset Cruises, Dinner and Dancing Cruises. Open Boat & Private Charters available. Daily Afternoon Dolphin Cruises.